Fifth annual class comprised of 60 Scholars including veterans, educators, physicians, public servants, and corporate professionals; program begins on February 5 in Washington, D.C.
January 31, 2019 – Today, the Presidential Leadership Scholars (PLS) program announced the 60 Scholars who will form the program’s fifth annual class. 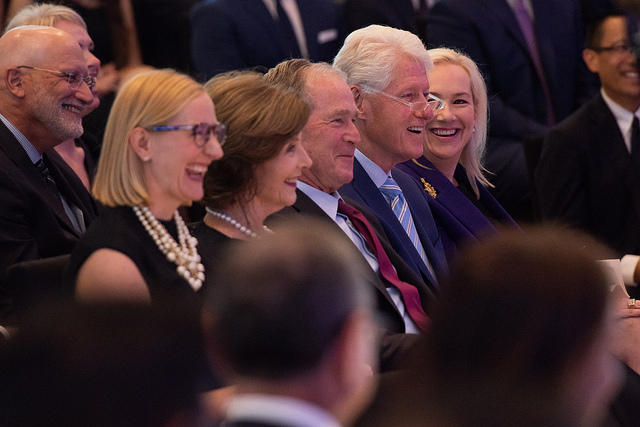 PLS serves as a catalyst for a diverse network of established leaders brought together to collaborate and make a difference in the world as they learn about leadership through the lens of the presidential experiences of George W. Bush, Bill Clinton, George H.W. Bush, and Lyndon B. Johnson. The fifth class was selected after a rigorous application and review process. Scholars were selected based on their leadership growth potential and their personal leadership projects aimed at improving civic engagement or social good by addressing a problem or need in their community, the country, or the world.